Steven D. Leach, MD, director of the Dartmouth-Hitchcock Norris Cotton Cancer Center and the Preston T. and Virginia R. Kelsey Distinguished Chair in Cancer at the Geisel School of Medicine at Dartmouth, has been named a Fellow of the American Association for the Advancement of Science. Results from an innovative new study conducted by a team of researchers at Geisel are the first to show that machine learning approaches can be used to identify potential substance use risk behavior, such as alcohol use, among social media users. 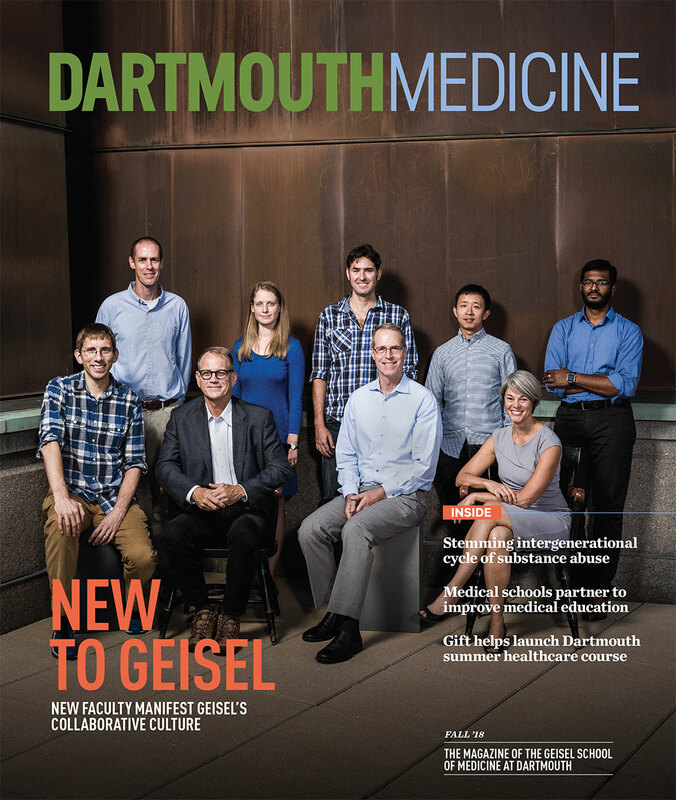 As the Dartmouth community and the nation celebrate Veterans Day, several of our Geisel student veterans reflect on some of the most valuable lessons they learned while serving in the military and the impact of those experiences on their path to medicine. Ellen Meara, PhD, a professor of The Dartmouth Institute for Health Policy and Clinical Practice, and an adjunct professor of economics at Dartmouth College, has been named to the Peggy Y. Thomson Professorship in the Evaluative Clinical Sciences.